A tough stance from the SCC means delays for Dominion’s solar plans. Photo by Activ Solar via Wikimedia Commons. 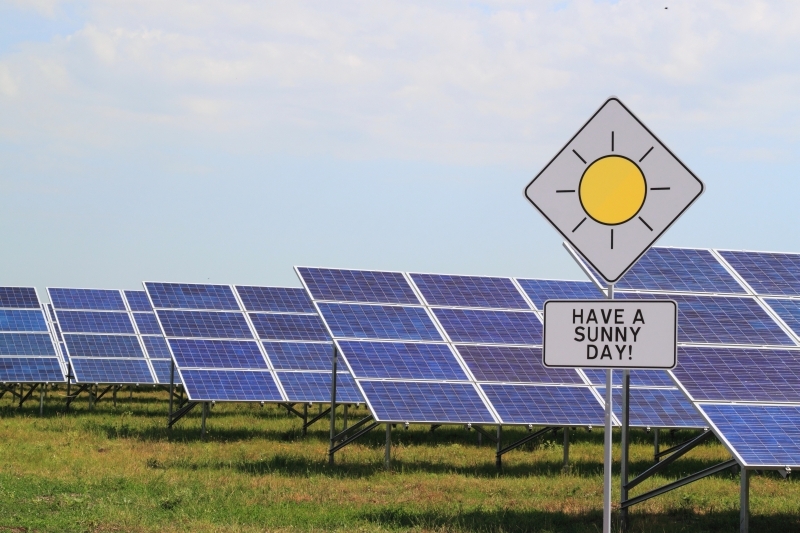 Last week Virginia’s State Corporation Commission rejected Dominion Virginia Power’s proposed 20-MW solar facility in Remington, Virginia, citing the company’s failure to evaluate third-party market alternatives. Although the solar industry had urged this result, the ruling throws the Remington project into limbo—and with it, three other solar projects Dominion has in the works. Moreover, the language in the order has many advocates concerned the SCC may be setting a higher bar for solar projects than for fossil fuel projects. The ruling that utilities must consider market alternatives to a self-build project is a win for Virginia’s solar industry, which argued that ratepayers would be better served if Dominion let the industry build and operate the Remington project through a third-party power purchase agreement (PPA). That approach would take advantage of third-party developers’ access to more favorable treatment under the federal tax code. Ratepayers would also benefit from the slimmer profit margins of private sector companies compared to the 10% return-on-investment guaranteed to Virginia utilities. I made the same argument in this space back in June, and lamented the fact that Dominion’s greed put an otherwise good project in jeopardy. As indeed it has: there is no certainty now that Dominion’s first utility-scale solar facility will get built before the federal investment tax credit (ITC) for commercial and utility solar projects drops to 10% from its current 30% at the end of 2016. Without the higher ITC, the project will become more expensive for ratepayers, and surely make it even more difficult to get approved. In theory, Dominion can respond to the SCC ruling by converting the Remington project from a self-build to a PPA, allowing developers to bid. Then the utility would recalculate the cost to ratepayers, offer up the savings, and renew its application to the SCC. Given the time crunch, the SCC might allow the current case to be reopened instead of starting from scratch. There might not be time for a perfect competitive bidding process this time around, but arguably it is more important to get the additional 20% savings from the ITC than it is to have a picture-perfect bidding process that causes the project to miss the 2016 tax-credit deadline. If the puzzlement persists, Dominion might file a motion asking the SCC to reconsider its ruling, instead of working on a fix. Perhaps Dominion could persuade the SCC to let the utility proceed with the Remington plant as proposed, given the tight timeline, in exchange for Dominion’s agreement that future solar projects will follow a fully transparent RFP process. However, there is more at stake here for Dominion than just Remington. This summer the utility put out a Request for Proposals (RFP) for additional solar projects. On October 1, it announced it had selected three projects totaling 56 MW, all of which it expected to be operational by December 2016 in time to earn the 30% tax credit. But instead of using PPAs and buying the power, Dominion planned to buy the projects from the developers straight off, once again giving up the tax advantages of the PPA approach. It’s not at all clear how Dominion will proceed with these projects now. On a brighter note, Dominion’s press release also stated it is considering buying some solar power through PPAs. Four weeks ago this mention read almost like an afterthought, but these projects now may offer the most promising way forward. Note that word “and.” The SCC clearly remains deeply skeptical of solar’s value. Never mind that the plummeting cost of solar has made it the fastest-growing energy source in the country today, that it offers advantages in price stability and carbon reductions that fossil fuels can’t match, and that Virginia legislators and citizens are clamoring for more of it. I have trouble believing the SCC would actually reject a utility solar PPA that emerged from a transparent bidding process. It wasn’t solar that doomed this application, it was Dominion’s greed and over-reach. That said, surely there is a whiff of unfairness here. As the SCC concedes, Virginia law pronounces solar “in the public interest.” That’s a seal of approval that has never been accorded natural gas. Yet the SCC hasn’t put gas plant proposals through the same hoops it now insists on for solar. The SCC will soon take up Dominion’s latest gas plant proposal, a $1.3 billion, 1,600-MW behemoth to go up in Greensville County, Virginia. When that happens, we’ll be watching to see how much “prudence” really matters to the SCC. As for solar, Dominion has got itself into a pickle, but there should still be time to correct its mistakes and get these projects up and running by the end of 2016. Meanwhile, the General Assembly should hedge its bets by freeing up the private market for solar, clearing away the barriers that hold back solar investments by businesses, local governments and individuals. The SCC has this much right: competition is good. Competition that helps us transition to a clean energy economy is even better. NOTE: An earlier version of this article took the SCC to task for overruling a hearing examiner who recommended in a 2013 case that Dominion be required to look at market alternatives to its Brunswick natural gas generating plant. A reader noted that the law specifically requiring the consideration of market alternatives had not taken effect at the time and so was not binding on the SCC. I regret the error. This entry was posted in Solar and tagged Dominion Virginia Power, MDV-SEIA, PPA, Remington, solar, State Corporation Commission. Bookmark the permalink. So is this a glass half-full or is it half-empty? Time will tell, I suppose, whether SCC really believes that one can generate electricity from the Sun! And to be selfish, it’d be cool if those of us with solar systems could sell our SRECs in Virginia. Thanks for writing this up, Ivy. Well Done Ivy! What motivates the SCC when looking at solar vs, other forms of generation? My only agenda here is for solar to work in Virginia, and if I’m right and this path is a dead end, it could hurt ‘us’ for a lot of reasons. Can anyone point me to a model project in another state? TPO wholesaling to an IOU with a voluntary RPS in a regulated state. Dominion, as an IOU, has access to the ITC (and I’m pretty sure accelerated depreciation), and to low costs of capital, and can easily manage the power plant and O&M. So what financial advantage would a TPO have? •	Would the project still be built on the Remington site—that Dominion already owns? 50-year lease or something? •	The permitting and legal issues would be complex. All the legal documents for a TPO here would also have to be drafted–and reviewed by all three parties’ attorney$$$–from scratch, unlike say, Solar City, which has its own funds and established legal agreements. The public/utility solar procurements to which I have responded, for example Prince William landfill, were fairly soundly structured – except for the ones that were pulled. I believe Dominion would have to think through these issues and provide clarity in the RFP*. Third-party (usually meaning TPO) is essential for properties (gov, non-profit) that can’t take advantage of the ITC. TPO is also excellent for people/properties who want solar, for a mix of reasons, but do not have access to low-cost capital. TPO also avoids O&M concerns, while we all get used to how easy solar actually is. And it puts the burden of mfr. and installer warranties on another entity. TPO was a game-changer under 1603, when the 30% could be paid cash on project completion, rather than on annual tax filing. Investors flocked–to projects in states with that 3rd stream of revenue (SRECs, California rebate, etc.). So I think people still think it’s a good model to chase…. But as project prices plummeted, the financial reach for a project was not as great for customer/hosts, and, the return was not as rich for investors. SolarCity, and some others, successfully set up its own fund, and doesn’t have to fuss with Other People’s Money, and the need to have various financial agreements being reviewed by OPM’s lawyers, so it keeps overhead down and a healthy pipeline going. And while investors have been known to skim much of the value out of a project–to the detriment of the integrators and sometimes installers–the good news for the customer/client under TPO is, they get to OWN the project at Fair Market Value (an ITC requirement) at the end of the contract. Free power going forward. That’s why I like generated and used – and ultimately owned – onsite. But that’s really from the customers’ perspective. The environment/climate change? The more and bigger the better. Utility scale, probably utility-owned community solar, all of it. Independence from monopoly utilities? DG. A robust solar industry in the state? A mix – but, utility procurement can only favor, not require, VA contractors. * Suggestion: If this structure indeed has potential, Dominion could issue an RFEI, Request for Expression of Interest, to which respondents could propose various legal and financial arrangements. OK, APCO’s RFP will help us understand how a PPA would shake out with utility-owned. I’m wondering, with American Electric Power Service Corporation (AEPSC) administering the pre-qual, if outside-VA solar would quality. Certainly such a PPA *could* be cheaper. Thanks for flagging this new APCo RFP. Great news! The press release says that it is limited to projects in VA.